TIB RASILIMALI LIMITED (formerly known as RASILIMAL I LIMITED) is a wholly owned subsidiary of TIB Development Bank Limited. It is a Securities Brokerage and Advisory firm licensed by the Capital Markets and Securities Authority of Tanzania and a licensed member of the Dar es Salaam Stock exchange. 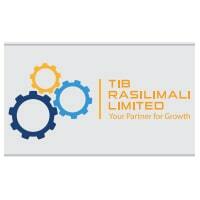 TIB Rasilimali Ltd is seeking to employ a qualified and skilled person to fill the following available vacancy. The Director-General shall be the Chief Executive Officer responsible for the day-to-day management of the firm. He/She will be responsible for the provision of a dynamic and strategic leadership, vision and direction of the firm, ensuring appropriate outreach and profitability while providing high-quality services. Oversee effective and efficient implementation of the firm’s short, medium and long-term plans, and enforcement of relevant legislation, rules and regulations pertaining to Capital Markets and related services. Provide direction and leadership towards the achievement of the firm’s Vision, Mission, and Strategic Strategies, Objectives and Deliverables profitably. Oversee the designing, promotion, and delivery of quality products and services by the Prudently manage utilization of the firm’s resources within the approved budget, guidelines, policies, laws and regulations. Advise and inform the Board on progress made in implementing operational activities of the firm. (policies, processes and tools) covering operational risk, market risk and other risks. Coordinate the activities of all departments and operating units of the firm so as to maintain satisfactory progress towards approved objectives.Establish standards for evaluating the progress of the firm and each of its components towards its approved objectives. Understand, support and complement TIB Development’s role in Tanzania‘s financial system. Carry out other related duties as may be assigned by the Board from time to time. Proven leadership and business management skills. High degree of skills, expertise, and integrity. Able to integrate macro and microeconomic policies into the firm’s strategies, policies, and procedures. Strong public image and a person of stature. Holder of a Masters Degree or Postgraduate qualifications in Economics, Finance, Business Administration, Accounting or related disciplines from recognized university or institution. Minimum of ten (10) years work experience; five (5) years of which must be in senior management position or manager level at a reputable financial institution. Rasilimali Limited offers an attractive remuneration package, career development opportunities and an excellent working environment. An application letter showing how they meet the posit ion’s requirements.